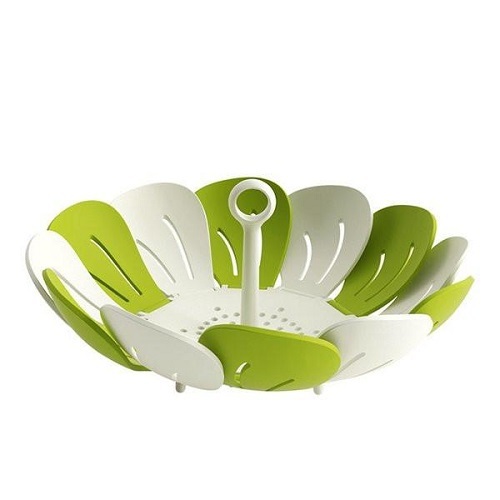 This Vegetable Steamer Keeps Nutrition Of Your Veggies As It Is And It Is Made Of Premium Quality With Unique Design Which Expands To Fit Various Pot Sizes. It Is Made From Virgin Plastic These Veg & Fruit Baskets Are Durable And Easy To Use. It Also Helps Space Saving In Your Kitchen. No Assembly Required .Easily Removable From Pan With Sturdy Central Ring. 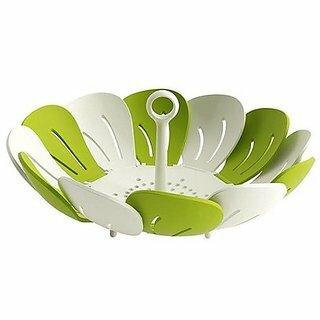 Easy To Wash. Self- Adjusting, Non-scratch Design Fits Most Pans , Suitable For Use With Both Steel Pans And Non-stick Dishwasher Safe.Folding Steamer Basket,large Capacity When Fully Open, But Folds Neatly Away For Storage.